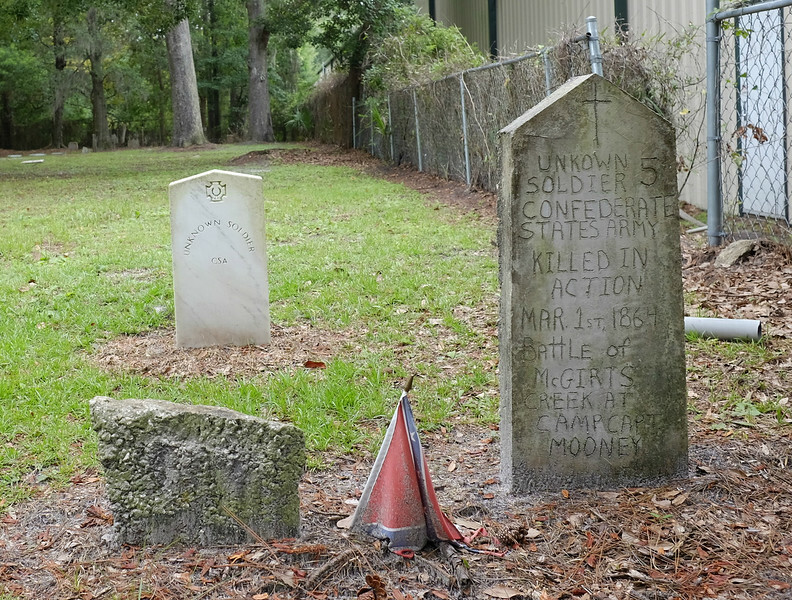 The earliest monuments, built within a few decades of the war, are generally much simpler in message and tend to be dedicated to local soldiers who fought; both Confederate and Union monuments exist. In later decades, organizations representing veterans and their descendants spearheaded the creation of more Confederate memorials, which moved beyond commemorating local soldiers and events to celebrating the Confederate cause. These increasingly romanticized the Confederacy and in some cases downplayed Jacksonville’s substantial Unionist history. Starting in the later 20th century, local authorities and groups began erecting markers and establishing parks commemorating significant Civil War sites. These mostly strike a dispassionate, historical tone to document the local impact of a war long over. These memorials reflect how the city has elected to remember the Civil War across its history. 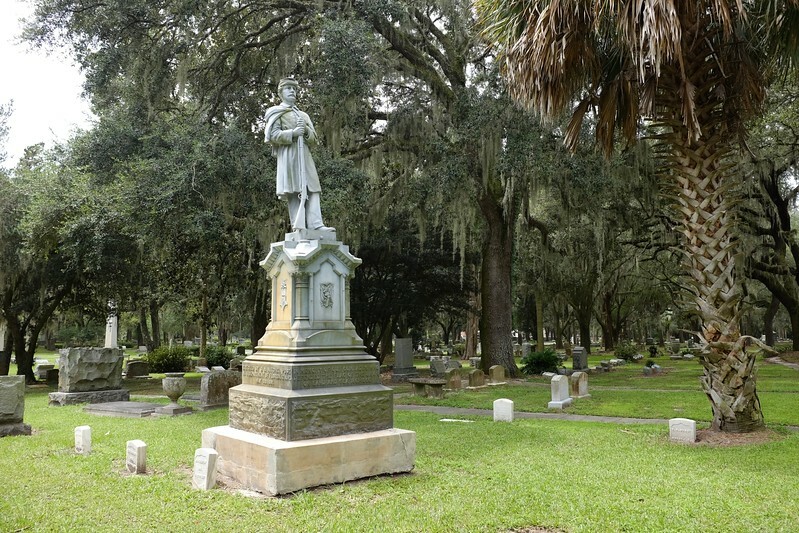 As Jacksonville enters the national debate over removing Confederate monuments, it is worth taking a comprehensive look at these memorials and the eras in which they were established. 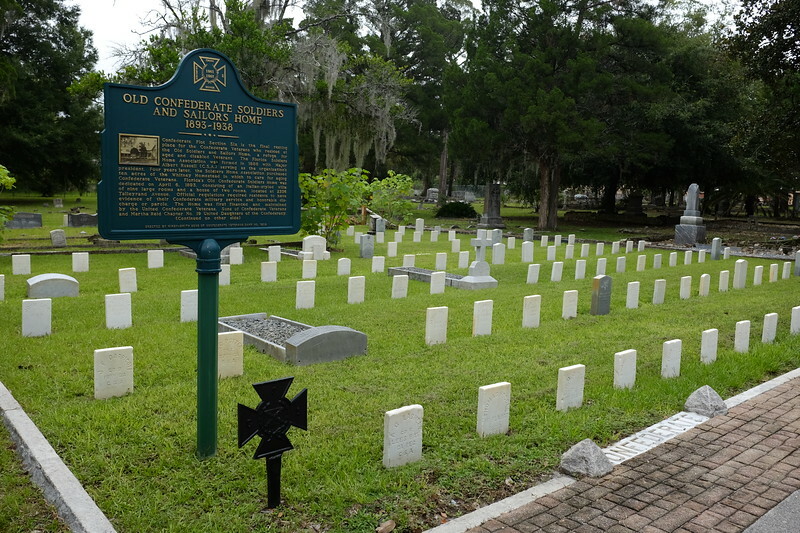 Jacksonville’s earliest Civil War commemorations were the graves of soldiers buried there. These date from the earliest engagements in 1862 until at least 1938, when the last resident of the Old Confederate Soldiers and Sailors Home died. Some wartime graves stand where soldiers fell in battle; after the war, veterans were laid to rest in plots all across the city, with hundreds located in the Old City Cemetery, Evergreen Cemetery, and other resting places. Old Stanton / New Stanton Unknown to many is the fact that one of Jacksonville’s oldest surviving Civil War-related commemorations celebrates a Union figure: U.S. Secretary of War Edwin Stanton. Florida’s first school for African-Americans, Stanton opened in 1868; it remains Jacksonville’s oldest public school. Initially an elementary school, it subsequently added grades, and became a full-fledged high school under principal James Weldon Johnson in the 1890s. 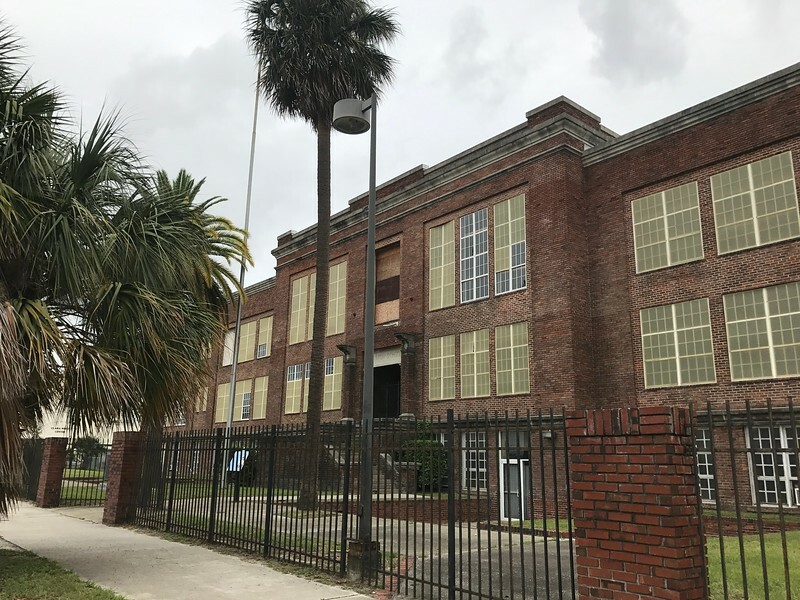 In 1953 it moved from LaVilla to its present location on West 13th Street, and in 1981 it was converted to a magnet school. Jacksonville has been home to streets named after Civil War figures since at least 1868. Miles Price, the developer of Brooklyn and a Confederate veteran, named three streets in the new neighborhood after Confederates: Price Street, taken from his own surname, and Stonewall and Jackson streets, named after General Thomas “Stonewall” Jackson. Other Jacksonville streets with potential Civil War connections include Downtown’s Lee (Robert E. Lee), Davis (possibly after Jefferson Davis, the President of the Confederacy), and Stuart streets (perhaps after General J.E.B. Stuart). Many of these replaced earlier street names, and all run through LaVilla, a historically black neighborhood where a number of other streets are named for historical figures. Later streets and place names include the Westside’s Confederate Point. Location Jacksonville’s oldest Civil War monument is also the second oldest of a handful of surviving Union monuments in Florida. Union forces occupied Jacksonville four times during the Civil War, and it remained in Union hands after February 1864. During the war the city was a hotbed of loyal sentiment, and many prominent white citizens, as well as an overwhelming percentage of African-Americans, supported the Union. Erected in Evergreen Cemetery by the Grand Army of the Republic, the main Union veterans association, Jacksonville’s beautiful Union Monument features a soldier on a detailed column reading “In memory of our comrades who defended the flag of the Union, on land and sea, 1861-1865.” It is surrounded by the graves of ten Union veterans; many other Union and Confederate veterans and officials are buried elsewhere in the cemetery. Location Built seven years after the Union monument, the Confederate column is Jacksonville’s most visible Civil War monument. Donated by Jacksonville-born Confederate veteran Charles C. Hemming and his wife Lucy Key Hemming, it is dedicated to Floridians who fought in the Confederate forces. Erected during a veterans’ reunion, it features a statue of a Jacksonville Light Infantry soldier atop a striking 62-foot column; the base features reliefs of Florida Confederates Edmund Kirby Smith and J.J. Dickison, a group image of soldiers, and a dedication from Hemming to his comrades. This dedication contains some of the flowery, effusive language common in later monuments, describing “deeds immortal” and “heroism unsurpassed,” but features no paean to the Confederacy itself. Like the Union Monument, it is largely a dedication to local soldiers. The park, previously known as St. James Park, was renamed Hemming Park to honor the column’s donor. Location The Old City Cemetery contains the graves of over 250 Confederate veterans. Many of these were residents of the Florida Confederate Soldiers and Sailors home, located on Talleyrand Avenue from 1893 until the last veteran died in 1938. The United Daughters of the Confederacy (UDC) purchased funeral plots for the residents in 1900; the first burial took place in 1902. Thereafter, the cemetery became the city’s primary location for Confederate Memorial Day observances, held to this day on or around April 26. In 1926, the UDC, together with the United Confederate Veterans and the Sons of Confederate Veterans (SCV), built a grandstand by the plots to accommodate growing attendances at Memorial Day ceremonies. In later years the UDC and SCV became the primary organizations erecting monuments locally, and their memorials often present a romantic view of the Confederacy.